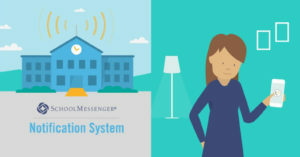 East Greenbush Central School District will test its notification system SchoolMessenger on Wednesday, September 26 at approximately 6:00 p.m.
All parents and emergency contacts for students should receive a text message and automated phone call at that time. Additionally, parents will receive an email. School staff who have signed up for the service will receive an email, text and phone call if they’ve provided that information.